Skye Gravestones | Jessie & David Howden. 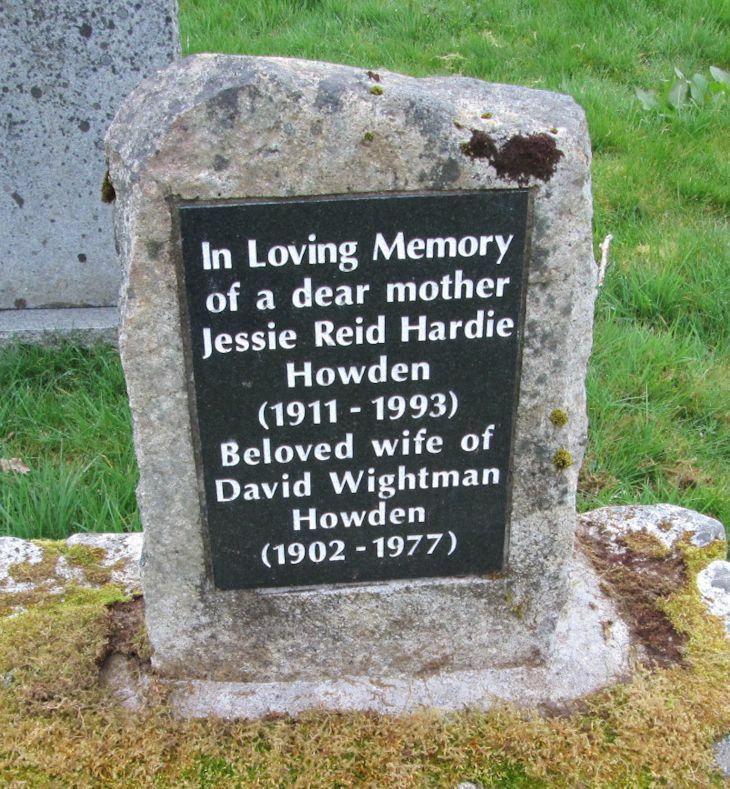 In loving memory/of a dear mother/JESSIE REID HARDIE/HOWDEN/(1911-1993)/beloved wife of/DAVID WIGHTMAN/HOWDEN/(1902-1977). Picture Added on 09 May 2014.